Do you want to keep more of the money you earn, save time, and reduce stress in running your own business? If you are an entrepreneur, and you are not making the profits that you want and need in the business, don't fully understand the numbers in running your business, and are wishing you could get a better handle on the finances in order to spend more time with your family and loved ones, this book is for you. I’ll help you understand the key components that have the biggest impact to creating and maintaining a profitable business. - The #1 biggest mistake that over 50% small business owners make that increases the amount of time and money needed to prepare taxes. - How to keep your hard-earned money…and stay in business! Be part of the select group of entrepreneurs that makes it past your fifth year in business. - Case studies from real entrepreneurs that show exactly why these lessons are important and what can happen if you don’t know what to do, and when. - While many finance books and resources are complex and more about general theory, this book is a practical guide that gives you STEP-BY-STEP instructions and details of what to do, and when. - This book includes 21 best practices with all the information in one place. You can jump straight to the chapter that solves your top burning pains and struggles. - Includes a number of important business topics that you won’t find covered in other introductory books. So what are you waiting for? Once you’ve secured yourself a copy of “Small Business Finance for the Busy Entrepreneur,” you’ll find an exclusive invitation to receive bonus materials that will save you even more time and money. Save time. Save money. Become Profitable. ===> Scroll up and click the add to cart button to secure your copy NOW. 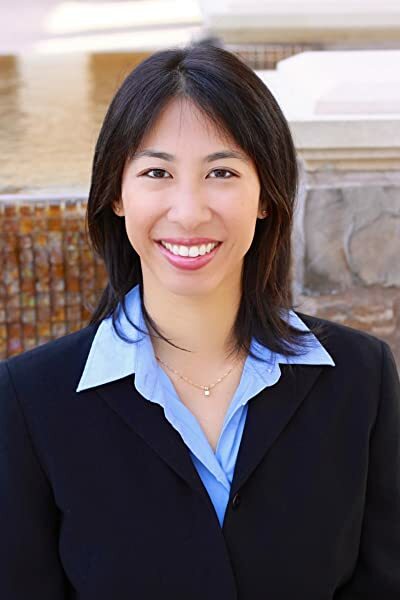 My small business in real estate has survived and thrived for 14 years using many of the business principles and practical insights Sylvia Inks shares in Small Business Finance for the Busy Entrepreneur. Unfortunately, I learned my lessons the EXPENSIVE way through the school of hard knocks! I could have paid 10x the cost of this book and still considered it a bargain to get these lessons up front. The author did an excellent job of outlining this book to make it practical and useful for any small business owner. Much like the blueprint for a house, she takes you step by step through the components of a financially well-run business. From business budgeting tools, to cash management, to getting paid on time by customers, it's all covered. I particularly like that she does not assume any question or topic is too small. The book even covers details like how to pay yourself at payroll as the owner of the business. Don't get that wrong! If you're a small business owner, I highly recommend that you make an investment of time and money to read this book. Your bank account and your peace of mind will thank you. I received an early copy for review. This book is well written and very easy to follow. It's a book I wish I has when I started my business. It would have saved me time and money that could have been used to improved my product. Sylvia chronicles the steps in detail of what entrepreneurs need to get their business started and going. The focus, as the title states, is to minimize the time in finding answers to common business questions. As an entrepreneur, we have our plates full and it's helpful to have a go to book that has all the meat necessary to keep your business going on right path. 5.0 out of 5 starsSmall investment, huge return! There are many challenges to being the owner of a small business. On the one hand, we are doing what we love and giving back to the world. On the other, we have to be experts in many things that are not our passion. Sylvia Inks has followed her passion to give us entrepreneurs a convenient way to learn about successfully managing a small business and making a profit. This book is packed with clear, concise and understandable information; Sylvia uses personal experience to provide examples that are interesting and informative. It’s amazing how she pulls back the curtain on the more confusing aspects of financial management. The book will help you avoid many of the common errors that are easy to make when setting up the financial end of your business. It is easy to read and well worth the investment. Sylvia’s goal is to make you successful. Small Business Finance for the Busy Entrepreneur now makes it easy for her to help you achieve yours! 5.0 out of 5 starsI wished I read this when I started my business! This is a great book that offers practical non-judgmental advice on finances for people who have businesses. I learned the hard way what Sylvia has taught in this book, and if this was published back when I started, I would have saved so much time and stress figuring it all out. Even though my finances and paperwork is pretty organized, I still found lots of advice I could use right now to implement. What I also liked best was hearing cautionary tales of real business owners and what might happen to you if you don't get your business finances in order. Small Business Finance for the Busy Entrepreneur came into my life at just the right time. I started my own business three years ago, and have yet to make a profit. Sylvia Inks’ blueprint for building a solid, profitable business is laid out in a logical manner. It is easy to navigate and to select the chapters that are most relevant and timely. After reading this book I was thrilled to know I was already doing some money management tasks correctly (like separating my business and personal finances)! I quickly learned I have a lot of room for improvement, however. In her book, Inks gives case studies that help me see I’m not alone, useful tips to keep me focused, and templates to organize my financial information. With the guidance in this book, I am confident I can not only become profitable, but also sustain that success once I get there. I highly recommend this book to any entrepreneur like me who wants to become profitable but never knew the financial basics to get there. 5.0 out of 5 starsA "must read" for entrepreneurs and small business owners! This book is a “must read” for anyone who owns a small business or is thinking about starting one. The author, Sylvia Inks, delivers sound and straightforward advice on a range of topics, including predicting your profitability, planning for taxes, managing your cash flow, and so much more. She further illustrates her insights with real-life examples from small business owners and entrepreneurs. You can easily read this book from cover-to-cover, or use it as a reference. I read this book shortly after I started my business. I appreciated that I could dive right into the areas I was concerned about and find clear, step-by-step instructions on how to adjust course and better set up my business for success. I found the worksheets at the end of the chapters helpful, especially the sections about doing payday the right way and knowing when you can afford to hire help. Thank you, Sylvia Inks, for helping me identify and implement the steps to a more organized and profitable business! I've had this book for 2 years now and I have referenced it often as an entrepreneur with a growing business. This book has specifically helped me organize my business finances and proactively track expenses I would otherwise scramble to locate and record at the end of the year. The book is filled with relevant case studies, examples, and templates to simplify tasks that could potentially be overwhelming. This the perfect addition to a small business library. I enjoyed reading Sylvia Inks book very much. I am an entrepreneur and I find keeping my finances in order to be the most difficult part of the job. 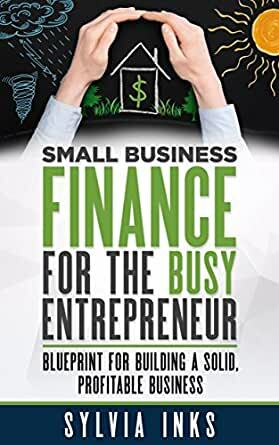 After reading "Small Business Finance For The Busy Entrepreneur", I now have an easy template to follow in my business to make finances for my business easier than ever before. Thank you Sylvia Inks.